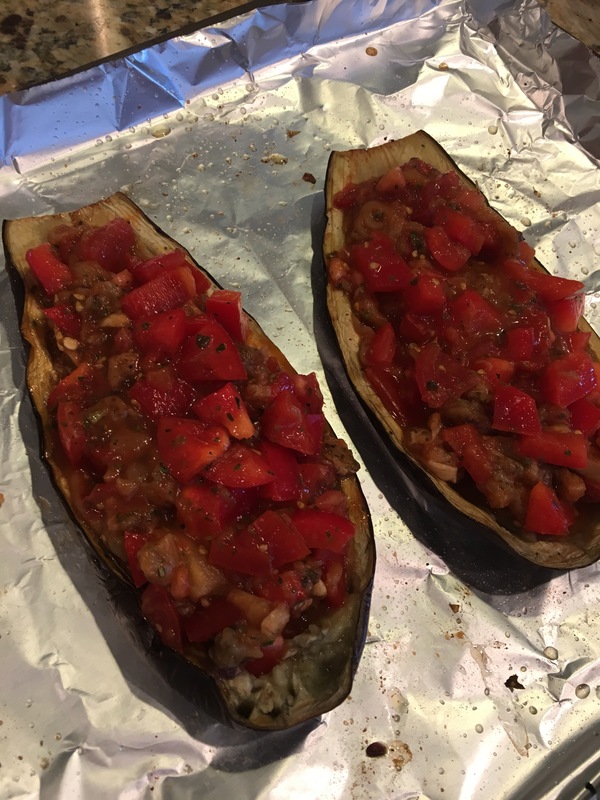 Stuffed Eggplant (and Popcorn for Dessert!) – Eat, Drink, and Go! This version was very light compared to others I’ve made. 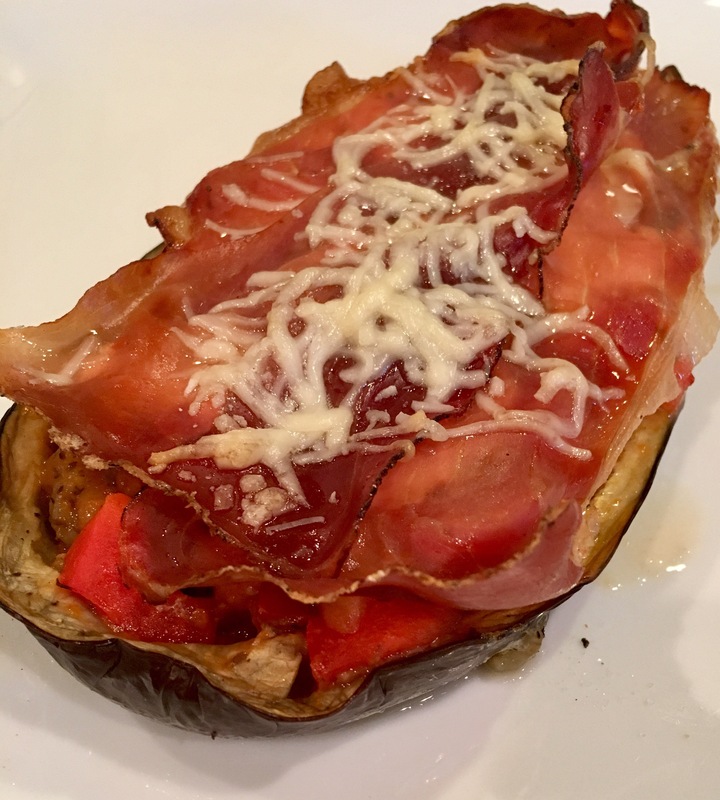 I believe I blogged about stuffed Eggplant before with ground lamb or turkey in the filling, if you’re looking for something richer. But this was a lovely, light Italian dish that left room for a delicious bowl of Truffle cocoa popcorn for dessert! 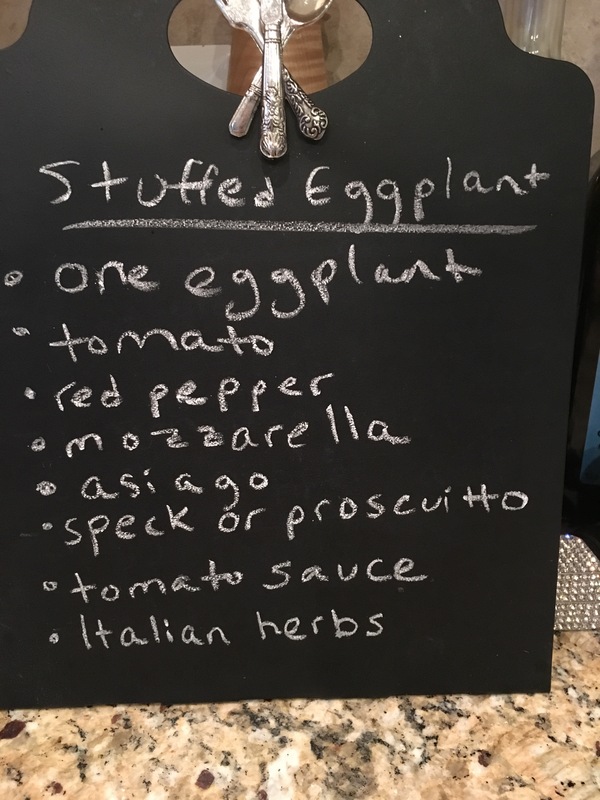 I went with what I had hanging around in the fridge, as is often the inspiration for many a meal. 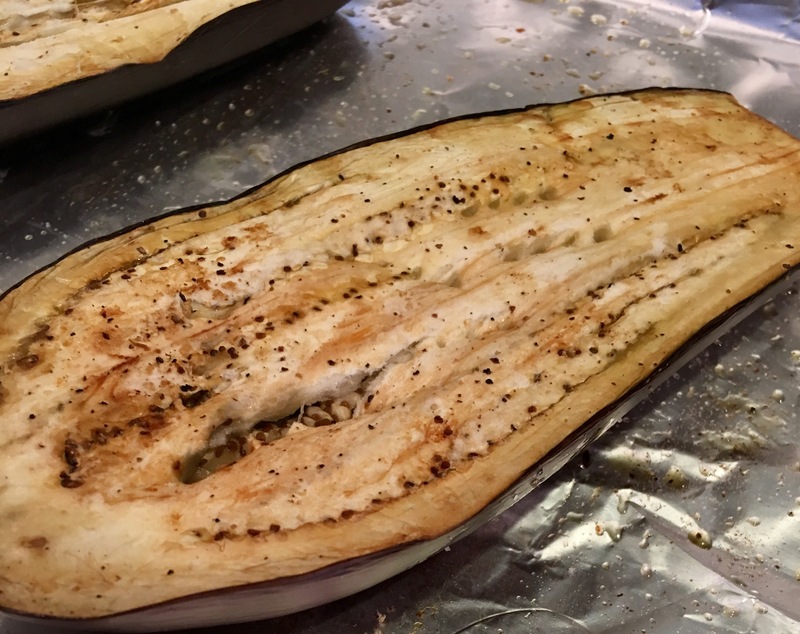 An eggplant, cut in half, sprinkled with salt and EVOO, then roasted cut side down til soft at 375. Scoop out the mushy inside and cut up into the veggie and herb mix. 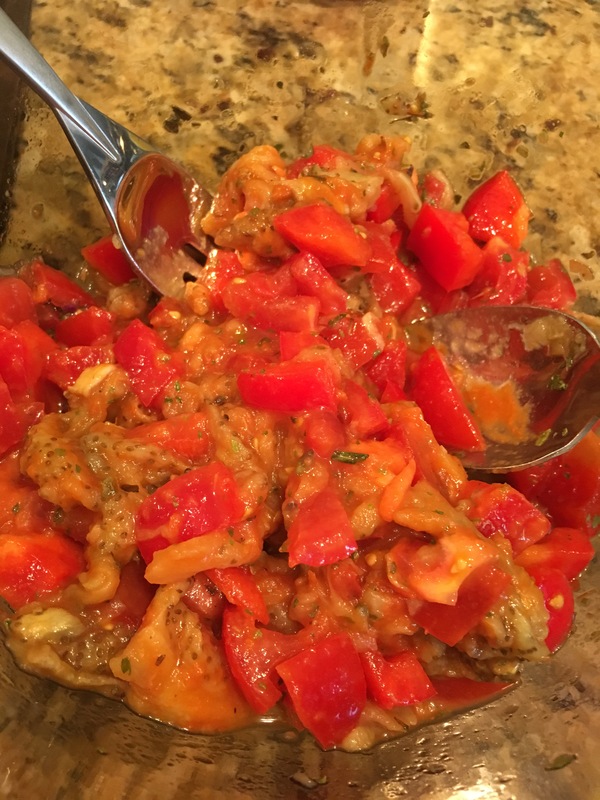 Toss around with a couple tablespoons of tomato sauce. 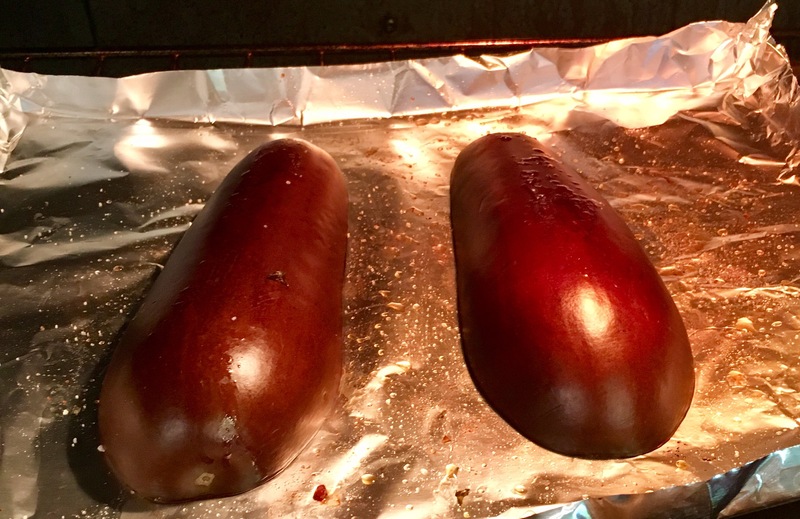 You’re gonna stack this mix back into the eggplant halves. 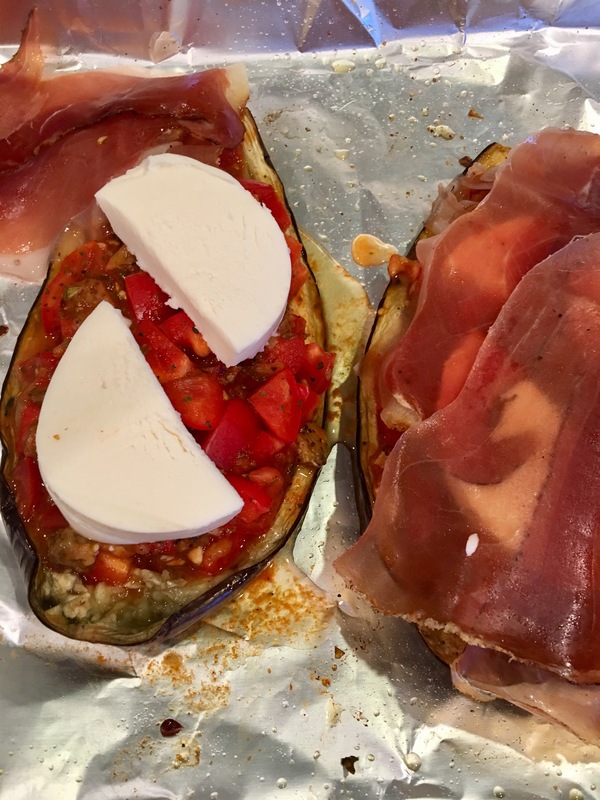 Then to make it good and gooey, place mozzarella on top of the veggies and then speck or prosciutto slices on top of the mozzarella. Pop it back into the oven and let bake for about 10 minutes. 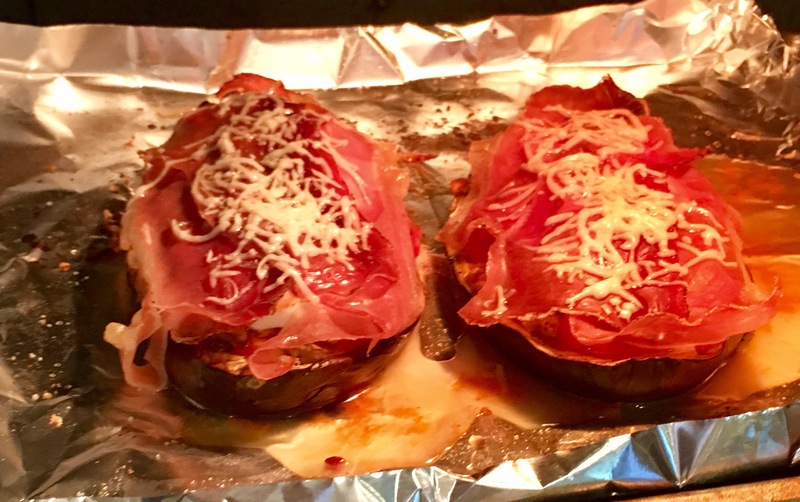 Then sprinkle on some Asiago for an added salty savory touch. Bake til the edges look browned and crispy. Note – this version does not hold together very well since there’s no real binding agent, so be careful transferring it to the plate. This was so nice and light!! 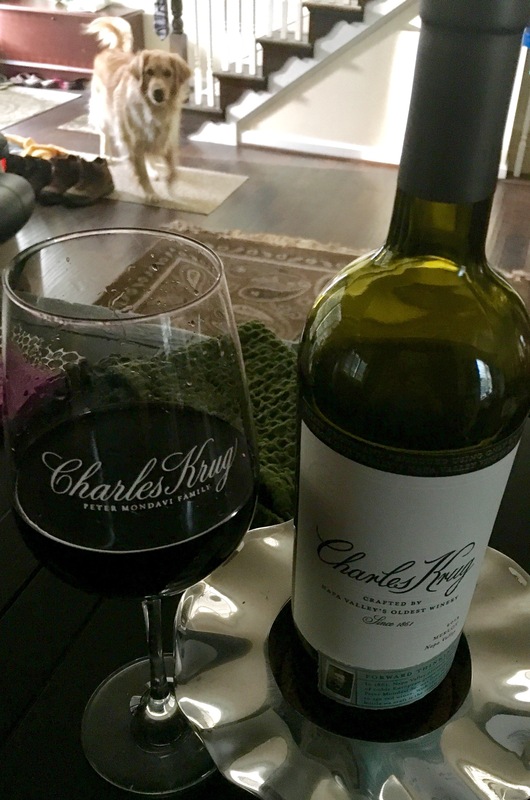 I paired it with a full-bodies merlot from Charles Krug. 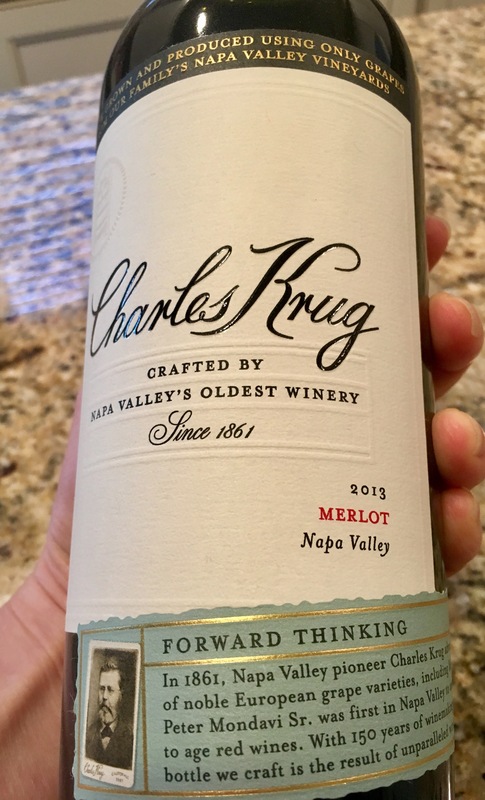 Krug is a great, affordable representative of delicious California reds and pretty widely distributed. And one with a photobomb courtesy of my pup!! And with room for dessert, I made a nice big bowl of popcorn (popped on the stove – it is the best!) and sprinkled on some Truffle salt and some cocoa powder. Mmmmmmm!!!! 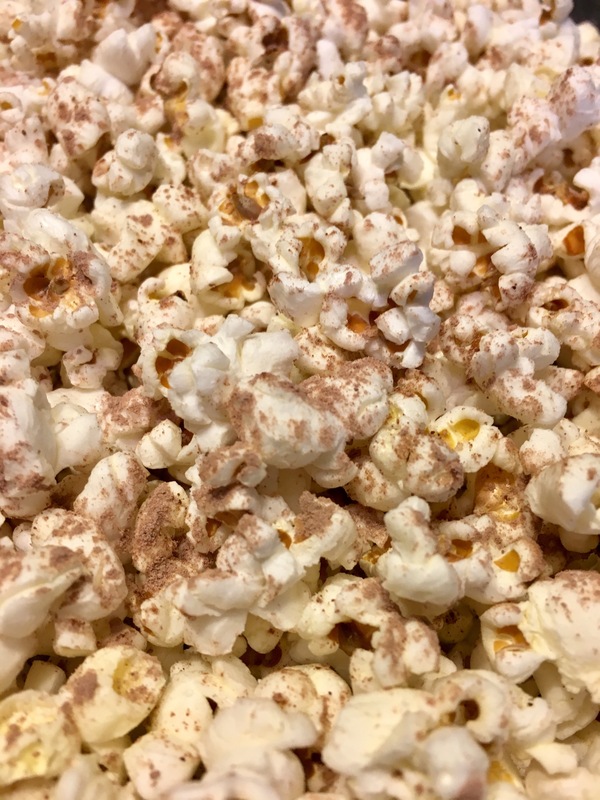 Perhaps this isn’t a traditional dessert for some, but I’ve gone through times in my life where a small bowl of popcorn was almost a nightly routine! Popcorn must have some kind of happy spirits or good vibes in it because it always makes me feel good!! Cinco de Mayo at Home!